Hong Na-Ri works as a flight attendant. Her mother passed away 10 months ago and she doesn’t have any other immediate family members. Hong Na-Ri returns to her hometown to visit her mother’s grave. There, she sees a young man at her mother’s grave. The man, Go Nan-Gil, introduces himself as her father. Before Hong Na-Ri’s mother died, she married Go Nan-Gil. He now lives at her mother’s house and runs the small dumpling restaurant that her mother ran. Sweet Stranger and Me is another Korean drama that my sister recommended to me. It’s not the drama that I always watch because, to be honest, I am not really into family drama. I like something a bit more exciting and intense. However, since I kind of like the main male lead, I decided to watch it anyway. Although when my sister told me about the overall story, I am not quite fond of it because of the idea of sounded pretty absurd to me. Then again, never judge the book by its cover, so that’s when I decided to watch it anyway. I know the story is good but at first, since I am not used to this kind of drama, I found it a little bit boring. But, as the story went by, I found Sweet Stranger and Me has become more and more interesting. Though, I don’t watch this drama as fast as I always have. At least it’s still faster than when I watched Flower Boy Next Door (2013). So, let’s get down to business. As I said before, I am interested in this drama at first because of the main male character. It’s not without reason that I am interested in him. I’ve seen him more than a couple of times now. The first Korean drama that I saw Kim Young-Kwang is Pinocchio (2014) and then I saw him again in Good Doctor (2013). This is the first time I’ve seen him as the lead character and his performance is not disappointing me at all. He really can act as a fatherly figure, a lover, a strict but loving boss, and even a gangster. He managed to pull off the emotion from each character that he has to act. Kim Young-Kwang knew how to act when his character, Go Nan-Gil has to be a fatherly figure to Hong Na-Ri or when Go Nan-Gil has to be the strict yet loving boss to his workers in the dumpling shop. The emotion and behaviour that he has to show are just spot on. Kim Young-Kwang has proven to us that he doesn’t need to be a side character forever. With his great acting skill, he can be the main character in any drama. I like the fact that his character, Go Nan-Gil, is full of mystery in the beginning and still kind of mysterious through the half series. His past was unfolded one by one and eventually, we could understand the bigger picture of what kind of situation he’s in. Afterwards, comes the struggle and the problems. And Kim Young-Kwang really embodied his character really well. I never heard of Soo Ae before, nor do I saw her drama, so I don’t know what to expect from her. Although she’s great in playing Hong Na-Ri, I can’t say if she would be good to play other characters. Don’t get me wrong, she’s good in portraying her character in this drama. However, Hong Na-Ri didn’t really show a lot of facial expressions. Yeah, she can look happy, in love, or even mad, but her normal expression and sad expression seemed kind of the same to me. I guess it’s because Hong Na-Ri is a mature and strong person that she has the need to restrain herself in showing other people her fragile side. So I don’t know if Soo Ae can play other characters with a lot of variations of facial expressions. Nonetheless, she’s good in portraying Hong Na-Ri. The chemistry between Kim Young-Kwang and Soo Ae is very good, though I can’t say if they are one of my favourite couples. At first, I am not fond of the idea of Go Nan-Gil marrying Hong Na-Ri’s mother, making them in a situation as a stepfather-daughter, who eventually fell in love with each other. It’s kind of absurd to me. Then again, like I said, don’t judge the book by its cover because, in the end, there’s more to it. Why they were in that kind of situation, everything has its own explanations. Of course, the situation is kind of cliché. Go Nan-Gil must have his reason to marry Hong Na-Ri’s mother, and of course, the reason must be about protecting the Hong Na-Ri and her mother. However, the reason that drove Go Nan-Gil to protect Hong Na-Ri is the biggest question mark here and the reason why I kept watching this drama despite took a long time to watch Sweet Stranger and Me. Kim Young-Kwang and Soo Ae have shown us a good chemistry together, whether being stepfather-daughter or a couple. What I like about Korean drama these days is because they don’t really make two main good characters and two main bad characters. Years before, they always made four main characters, two of them are good, while the others are bad and it’s always four sided-love. Jo Bo-Ah and Lee Soo-Hyuk added more fun and exciting things to the story. Their performance in portraying their characters are very good. Even the chemistry between them is good and pretty much funny. I like how Jo Bo-Ah’s character, Do Yeo-Joo, is a bit unpredictable. You thought you knew her but then she showed us a different side of her and then there’s her family and such. I would like to know more about her family. They didn’t really tell us how’s her relation to her family. Why they are not in a good term, but they didn’t look like in a bad term either. And then there’s also Lee Soo-Hyuk’s character, Kwon Deuk-Bong. I didn’t really understand the relationship between him and his family. I think there’s more to it, but again, they didn’t explain much about his family too. Like his sister, played by Shin Se-Hwi. I don’t even know why she acted weird and seemed to get bullied all the time. Why the relationship between her and her family, including her brother, seemed to be estranged. Without a full background story of the family, I think there’s something missing from Sweet Stranger and Me. But not to worry. It doesn’t really affect much to the story, though, it left us—or me, actually—curious about them. I still can enjoy the overall story. What I like about Korean drama these days is because they don’t really make two main good characters and two main bad characters. Years before, they always made four main characters, two of them are good, while the others are bad and it’s always four sided-love. And the way they fall in love is always the same. It’s always like this. The male A was in love with female B, but the female B only thought him as a friend or some sort. Then male A met female A, eventually, the female A loves him first while male A still confused between the two girls. Along the way, the female A will meet male B and he loves her too and perhaps became a bit possessive of her. Seeing that now male A and female A are very close, female B tried with all her might to get male A back by working together with male B. Female B got more and more possessive of male A when in the first place, she’s the one who rejected him. It’s pretty much like that. It’s pretty much the reason why I stopped watching Korean drama years back until recently when my sister said Korean dramas now have more variations. I like how Sweet Stranger and Me doesn’t use the same old pattern. The pattern is there, but it’s different. The female B or in this drama, Do Yeo-Joo, portrayed by Jo Bo-Ah, is not as ‘evil’ as to how female B character in Korean dramas used to be. A rivalry is still there. Of course, without it, the story won’t be very interesting and intriguing. We still need a conflict to make things more interesting. And Kwon Deuk-Bong, portrayed by Lee Soo-Hyuk, is not as possessive as male B character used to be. Everything happened just the way normal life would. At least in my perspective, being too evil is not real. Perhaps there would be some cases like that, but it’s not an everyday case. So it’s hardly acceptable to make people too evil. The conflict of Sweet Stranger and Me is pretty much interesting. It’s different and kind of absurd in the beginning. At least when you only knew a bit about it, you’ll think it’s absurd. At least I thought so. However, as the series went by, the story got more and more interesting and things got more curious. Without many heavy or scary conflict, Sweet Stranger and Me is indeed a family drama. It’s not the kind of drama that I would watch because the tension isn’t as high as the Korean dramas that I always watch. Nonetheless, I still like the story of Sweet Stranger and Me anyway. It’s not so complicated. It’s actually pretty simple but it made me curious. I am not going to say much about the other aspect of this Korean drama. Let’s face it. We know it would be good anyway. From the place setting to the costume, everything is thought thoroughly and perfectly, making us can enjoy this Korean drama very much. Everything seems real, that’s why it supports the story and everything is a total package. The actors and the actresses did their job very well. Eventually, it’s their performance that made the drama alive. All the other aspects are just some sort of support. Of course, they were important but the actors and the actresses are the ones who we would see to embody the story. Without their great performance, no matter how great the story is or how perfect the production team did to the place and costume and others, the drama won’t be a great success. So, yeah, the actors and actresses have done a great job indeed. All in all, Sweet Stranger and Me is a good family drama with some romance in it. It can be funny sometimes, especially when you see the relationship between Go Nan-Gil and Hong Na-Ri, even with Do Yeo-Joo and Kwon Deun-Bong. This drama is definitely a light-watch drama that you would enjoy in your spare time. 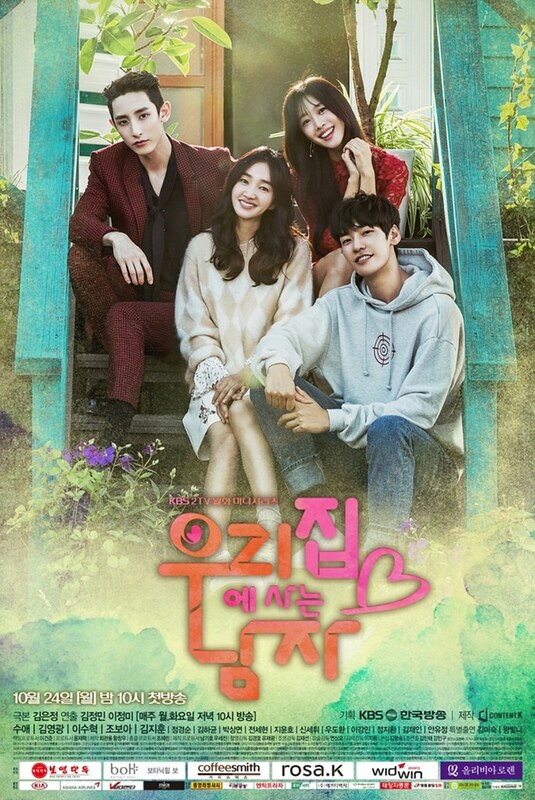 It’s not as intense or as thrilling as the usual drama that I’ve been watching but Sweet Stranger and Me is still a good one and worth to watch. I give Sweet Stranger and Me 8 out of 10 stars.